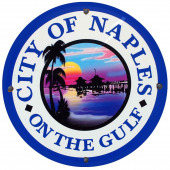 Naples, Florida, offers access to a large concentration of schools that prepare graduates to serve residents of the Naples-Immokalee-Marco Island metropolitan area, and beyond. Some of the top schools for nursing in the area include Hodges University, Lorenzo Walker Technical College, Med-Life Institute School of Nursing – Naples, and Wolford College. Hodges University has a new bachelor of science in nursing (BSN) that highlights coursework in the school’s associate of science (AS) in biomedical sciences program, while Med-Life Institute School of Nursing – Naples offers an associate of science in nursing (ASN) and a practical nursing diploma. The programs prepare students to take the National Council Licensure Examination for Registered Nurses (NCLEX-RN) or the (NCLEX-PN). For those interested in a faster path to employment, Lorenzo Walker Technical College has both LPN and CNA programs. The LPN program, which prepares students to take the NCLEX-PN, takes less than a year to complete and leads to a diploma. The CNA program, which prepares students to take the State of Florida Nursing Assistant Certification Exam, takes just several weeks to complete, and leads to a certificate with a specialization in long-term-care. For RNs interested in pursuing higher-level positions, Wolford College has master of science in nurse anesthesia (MSNA) and doctor of nurse anesthesia practice (DNAP) programs. Both programs were designed to create capable and skilled certified registered nurse anesthetists (CRNAs) who, upon completion of the program and obtaining certification, will have the credentials they need to practice at the best hospitals, both locally and in all fifty states. Some of the top employers in the Naples-Immokalee-Marco Island, metro area are Physicians Regional Hospital, NCH Baker Hospital Downtown Naples, North Naples Hospital, and Naples Community Hospital. If nursing sounds like the career for you, it’s time to begin your search for a program. Browse our list of top schools for nursing in Naples, Florida, to get started.